Sciatica is a pain that starts in the lower back, and radiates through the buttock, and down to the legs. The good news is that it can be treated with physiotherapy. Sciatica is caused by an irritation or compression to the sciatic nerve, which is the longest nerve in the body. Anything that irritates the sciatic nerve can cause slight to severe pain. The condition is often confused with general lower back pain. However, sciatica is not only limited to the back but can extend to both legs. People with this condition report symptoms such as leg and feet weakness, hip pain, difficulty standing straight, and muscle cramps in the buttock. Jobs that involve carrying heavy loads. But if you have chronic sciatica that causes pain and discomfort for an extended period, then you may benefit the most from physiotherapy. Visit your trusted physiotherapist for a consultation on the various manual techniques that he or she can utilize to reduce the symptoms you are experiencing. Treatment plans vary per patient, and your rehabilitation program will be designed and implemented based on your tolerance level, and the level of pain you are experiencing. The goal of the initial phase of your treatment is to relieve your pain and discomfort through mechanical methods and exercises that help increase your flexibility. The exercises you will be guided to perform are based on your symptoms and your level of tolerance. At this phase of your treatment, your physiotherapist will help you regain strength and mobility through the range of motion exercises. Activities at this phase are focused on restoring lateral flexion and mobilizing all areas where you experience numbness or stiffness. Your physiotherapist will assist you in doing strengthening exercises for your abdominal muscles, hip, and back muscles. These muscles play a significant role in maintaining proper posture and hip alignment, according to Cam from Trained Physio & Fitness. The main goal of this phase in your rehabilitation is to restore your ability to manage normal daily tasks. You will be taught certain exercises that promote postural endurance and proper postural alignment. Your physiotherapist may also design a return to work plan for you. Sciatica is likely to recur on patients who fail to receive sufficient rehabilitation. To prevent recurrence of the condition, make sure to stick to your treatment program and complete your assigned exercises. At this final stage in your treatment, your physiotherapist will explore strategies that will help you to safely return to doing normal tasks. The focus is less on symptoms management and more on the restoration of your normal function. 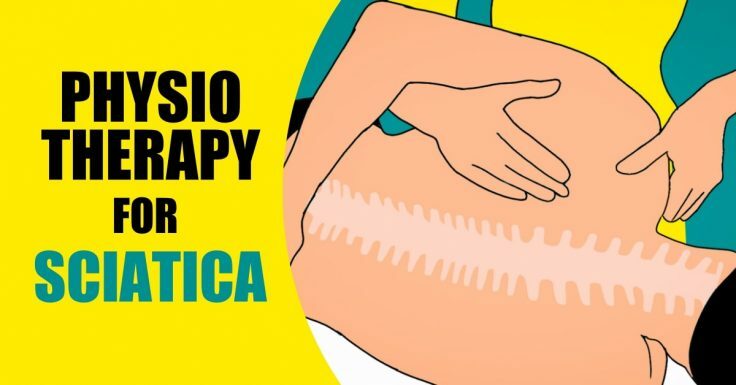 If you have pain or numbness within on your legs, lower back, and buttocks, and suspect that you may be suffering from sciatica, visit your trusted physiotherapist who can work with you to find the underlying cause of your pain. The doctor will perform a physical examination, paying special attention to your legs and spine. Also, will ask you questions about the intensity of the discomfort you are experiencing, and the parts of your body where you feel the most pain. Using this information, your physiotherapist will have a clearer picture of your condition and will be able to create a treatment plan that is best suited to your specific functional goals. Hopefully you’ve learned something about sciatica and how a physiotherapy expert can help you get rid of it.